There was an electricity felt in the air at the Seneca Niagara Casino Friday evening. 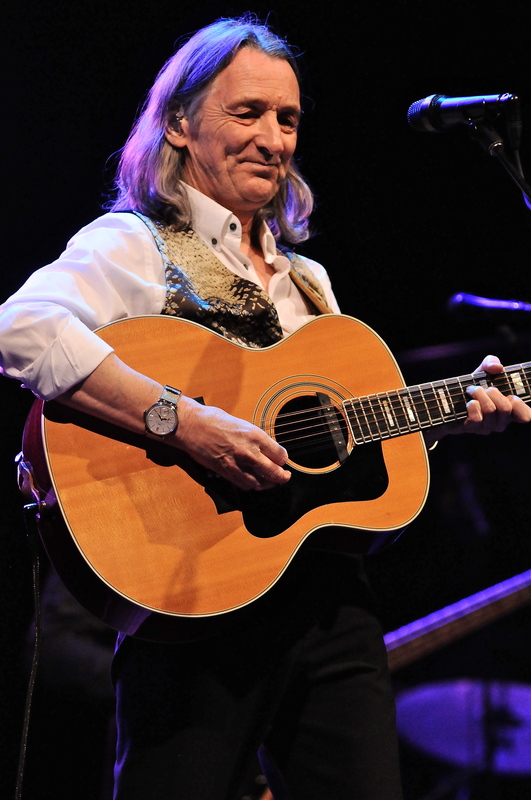 Roger Hodgson the estranged singer songwriter who was a founding member of Supertramp, made a return appearance to the Buffalo area Friday evening as he set up shop inside the confines of the sold-out Events Center. Hodgson recalled many fond memories and has never forgotten how the western New York region was one of the first areas where Supertramp began making waves back in the mid-seventies. He said they always make sure to add a show in the area when they go out on tour as he thanked the fans for the years of support. On his most recent trip to town, Hodgson played a very memorable outdoor show at Artpark in 2012. He brought with him the same band for his 2014 Breakfast In America tour. They did not disappoint. Drummer Bryan Head, bassist David J. Carpenter keyboardist Kevin Adamson and saxophonist-keyboardist Aaron MacDonald make up Hodgson’s touring band. Hodgson has described them as high caliber musicians who are very passionate about music. Hodgson is a man who truly embraces his whole catalog as he put it “It’s hard to decide what not to play”. as he mixed in Supertramp favorites that neatly went beside some of his solo selections. It was a can’t miss set list as he opened with one of the real gems of the Supertramp catalog in “Take The Long Way Home”. A pair of cuts culled from his first solo album In The Eye Of The Storm, were quickly followed by more Supertramp songs. That batch included “Hide In Your Shell”, a stellar song Hodgson noted he receives the most complaints about if it is not played. It also brought the first of many standing ovations received on this chilly November evening. It was just a few weeks ago that “Had A Dream (Sleeping With The Enemy)”, perhaps In The Eye Of The Storm’s most memorable track was played live for the first time ever. Not only could you feel the excitement but you could see it as well on Hodgson’s face and his body language. Hodgson asked the crowd where they were from with Buffalo receiving the majority of the cheers. He also noted there were fans who trekked as far away as Brazil for this show. He talked about how he loves nature and one time he went out exploring and brought along his guitar and wrote “Even In The Quietest Moments”, a song that was the night’s brightest highlight. The can’t miss encore of “Give A Little Bit”, concluding with “It’s Raining Again” ended the show on a high note. Having seen Hodgson and his fabulous band two years ago, I knew we would be in for a fabulous show. What I didn’t expect was for them to top that performance. The fans were treated to the type of show that they thought they could only dream about. While some still hope one day for a Supertramp reunion, many feel they are already seeing a better band, one that continues to impress and garner more attention every show.